Clean water is an important resource for hospitals, and, until there is a problem, most people don’t think about it too much. However, every litre of water that is paid for may not reach its intended tap, toilet or shower. As water is a costly resource, ensuring that it is carefully monitored and tracked is an important job for every hospital. 50% of food prepared is thrown away! Food waste can be a significant issue in hospitals and is often difficult to address. Green Healthcare food waste surveys have shown that up to half of all food prepared in Irish hospitals ends up being thrown out. Here we provide guidance on how to learn more about your food waste and what you can do to reduce it. 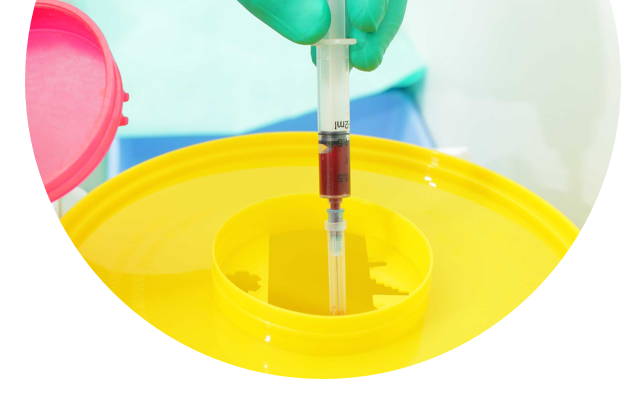 Dealing with healthcare risk waste correctly is an important task for every hospital. However, healthcare risk waste is the most expensive waste to dispose of so ensuring that only risk waste ends up in these bins is an ongoing issue that needs to be addressed. 1/3 of all landfilled waste could be recycled. 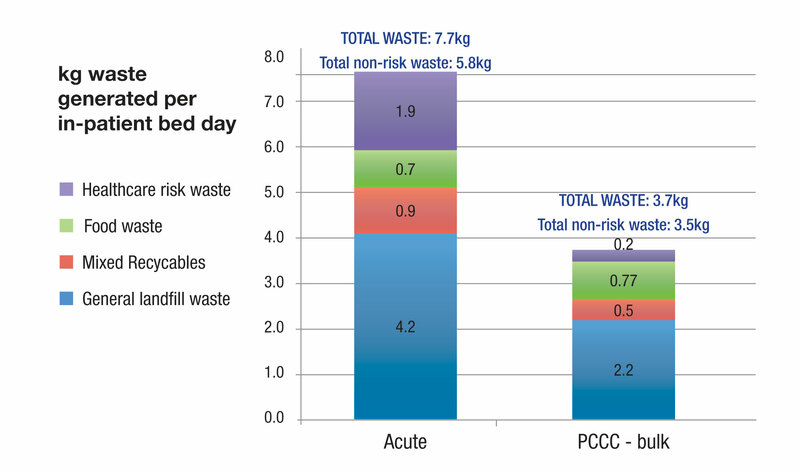 General waste accounts for almost 60% of all waste generated in Irish hospitals. Through surveys carried out by Green Healthcare it has been established that one third of this waste could be recycled. It is therefore an important area to consider when trying to reduce waste volumes and waste management costs. An RO unit forces incoming water through a membrane to produce ultra pure water. Much of the water does not go through the membrane and, along with salts, etc., is wasted to drain. Reverse Osmosis (RO) is used in many Irish hospitals to produce ultra-pure water for a number of different functions including sterilisers for endoscopes and theatre instruments as well as for dialysis. This How-To Guide provides guidance on the steps to set up a waste prevention and segregation improvement programme in your healthcare facility.